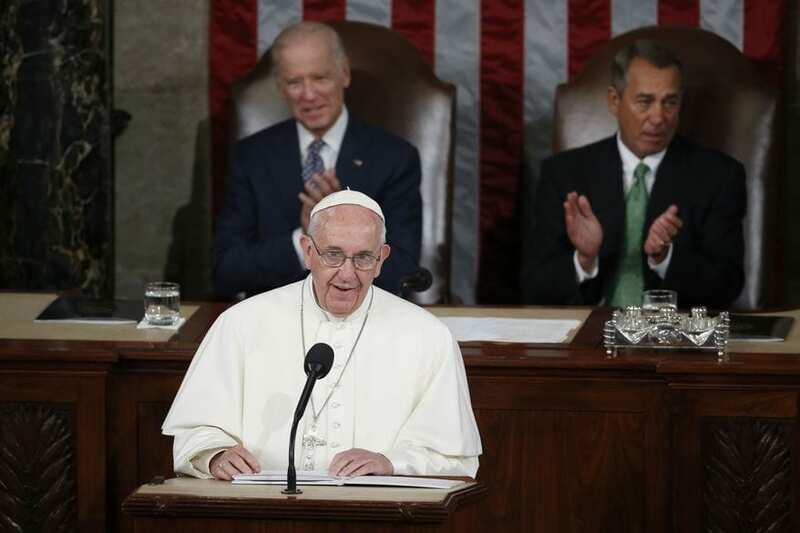 On September 24, 2015, Pope Francis I addressed a joint session of the United States Congress. He was the first pope to ever do so, and his remarks came as part of a six-day visit to Washington, D.C., New York City, and Philadelphia. 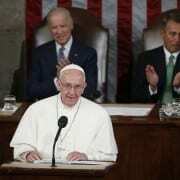 The text and video of Pope Francis’ remarks can be found here. 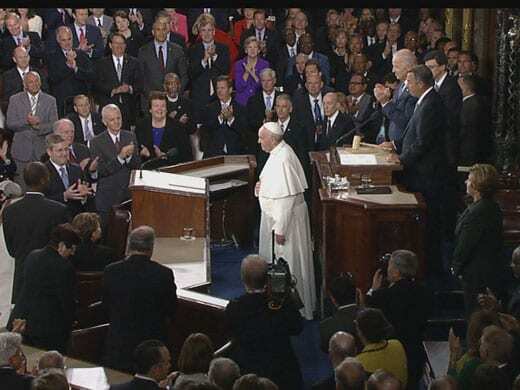 During the address, Pope Francis held up four examples of U.S. citizens as models: Abraham Lincoln, Martin Luther King, Jr., Dorothy Day, and Thomas Merton. The sole woman of the four mentioned, Dorothy Day, is an important figure in U.S. Catholic history and a significant example of a Catholic citizen-activist. Dorothy Day (1897-1980) was a Catholic convert and a vocal activist for social and economic justice in the U.S. Catholic church. Day co-founded the Catholic Worker Movement, a movement led by lay Catholics devoted to advocating for the rights of the poor, the oppressed, and those facing injustice. As part of that movement, Day created The Catholic Worker, a monthly newspaper that proclaimed the rights of workers and the poor, advocated for Catholics to radically give to and care for one another, and later, espoused a complete pacifism in response to the conditions of modern, nuclear war. “…I cannot fail to mention the Servant of God Dorothy Day, who founded the Catholic Worker Movement. Her social activism, her passion for justice, and for the cause of the oppressed, were inspired by the Gospel, her faith, and the example of the saints.” Francis went on to implore Congress to “keep in mind all those people around us who are trapped in a cycle of poverty,” seeming to draw on Day’s radical service to others as model. Day is an example of a contemporary Catholic leader who does not fit into a clear category on the U.S. political spectrum: on economic and foreign policy issues, she could be labeled a liberal; on social issues like abortion and in her devout Catholic practice, she could be labeled a conservative. Regardless of how she is discussed, Day is a significant example of a strong, female, lay Catholic leader who helped to spark conversations in the U.S. and global church about the conditions of the poor and about what it means to undertake just war in the modern era. E. Today’s American politics are criticized for being highly partisan. Political figures are often required to walk “party-lines” in order to have their voices heard. Day was both a radical socialist who believed in pacifism and a Catholic. Do you think that a speaker with views like Day’s would be more or less effective today? Do you think that there is opportunity for a variety of religious, political voices to be heard in today’s debates over war and peace? Explain your answer. B. The Catholic Worker Movement still exists today. Find out about a Catholic Worker house in your area. Arrange to attend a meal at the house, or interview one of the members of the Catholic Worker community. How have the movement’s goals changed? Are they still actively involved in political activism, or are they more of a religious organization or charity? For this and other teaching resources, visit the Dorothy Day Voices of Democracy Unit. The Voices of Democracy also features a variety of units focusing on Religion & Morality in Public Life and on Social & Economic Justice.